Jewel tones put a smile on my face. Perhaps its their bold colors and the way they pop out of a crowd. I especially love to wear them during fall and winter seasons as most transition to outfits of darker neutrals. 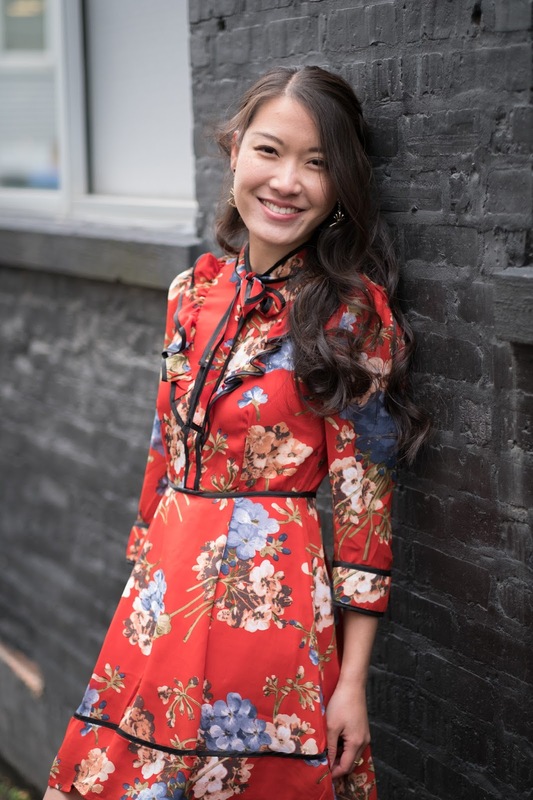 In the shorter days and overall decreased sun sightings, it's fun to throw color out in the world with a colorful look. 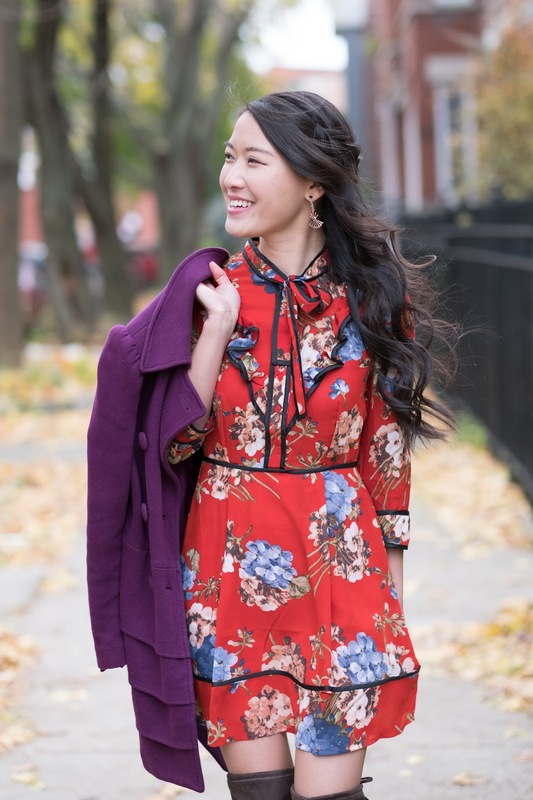 This beautiful bold floral dress paired perfectly with a gorgeous jewel tone jacket. I styled the look with over the knee (OTK) boots and loved how it completed the look. This was the first time I styled OTK boots which was scary! Mainly because I had no idea how it would look on me. 1. Pair them with dresses that have a more conservative neckline to balance out the look. 2. Make sure the gap between the top of the boots and the hemline of your dress or skirt is less than 5 inches. Do you have any other tips for wearing OTK boots? this dress is stunning on you it was made for you! Such a fun and colorful outfit!